Daytona Beach, FL – More than 110 students from Pine Ridge High School in Deltona will have the opportunity to learn and apply STEM skills beyond the classroom through an Innovation Generation grant from the Motorola Solutions Foundation, the charitable arm of Motorola Solutions, Inc. The Motorola Solutions Foundation provided $50,000 for a sixth year to challenge Florida’s district-wide local education foundations to inspire students through projects designed to help them solve real-world problems in science, math, technology and engineering (STEM) areas through a grant to the Consortium of Florida Education Foundations (CFEF). FUTURES Foundation for Volusia County Schools’ grant project was one of nine chosen from among 23 applicants to receive $5,000 through a competitive judging process with each application being reviewed and scored by a panel of STEM industry professionals through the CFEF. With the FUTURES grant “Gone with the Wind Tunnel,” written in conjunction with Enviro/STEM Resource Teacher Louise Chapman and Director of the Pine Ridge Advanced Manufacturing Academy James “Jim” Maynard, students will design and construct the most efficient body possible for their Greenpower race cars by applying classroom math and physics concepts. Students will first use 3D modeling software to build virtual body designs and run computer simulations to optimize them, then small scale models will be 3D printed and tested in a wind tunnel. Finally, the best designs will be constructed and used on their race cars to compete in the International Greenpower Grand Prix at Indianapolis Motor Speedway next spring. 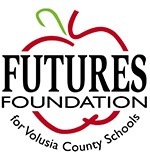 FUTURES Foundation, a 501(c)(3) non-profit, supports educational quality for the Volusia County Public School System by directing resources toward areas of identified need, increasing community involvement and support, and encouraging open communication between the community and our schools. Founded in 1985 to support Volusia County Public Schools, FUTURES’ volunteer board of directors consists of business and community leaders. 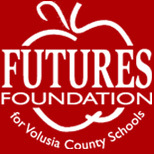 For information about FUTURES, please visit www.FUTURESVolusia.org or contact Executive Director Cynthia Perrick Ramirez at 386.255.6475, ext. 50730, or caperric@volusia.k12.fl.us. The CFEF is the membership organization for Florida’s school district-wide local education foundations. Established in 1987, the CFEF seeks to advance student achievement in Florida by increasing private-sector investment and involvement in public education. The CFEF now has 63 member foundations with 1,100 business and community leaders serving as volunteer board members. Collectively, they raise more than $63 million annually to support students, teachers and schools through a variety of programs. The CFEF has provided more than $43 million to local education foundations since 2002 through various private and public sector partnerships, including the State of Florida School District Education Foundation Matching Grants Program. The Motorola Solutions Foundation is the charitable and philanthropic arm of Motorola Solutions. With employees located around the globe, Motorola Solutions seeks to benefit the communities where it operates. The company achieves this by making strategic grants, forging strong community partnerships and fostering innovation. The Motorola Solutions Foundation focuses its funding on public safety, disaster relief, employee programs and education, especially science, technology, engineering and math programming. For more information on Motorola Solutions Corporate and Foundation giving, visit its website at www.motorolasolutions.com/foundation. PHOTO – Pictured, left to right, are FUTURES Executive Director Cynthia Ramirez, Pine Ridge Advanced Manufacturing Academy Director James “Jim” Maynard, Pine Ridge Principal R.T. Myers, and Enviro-STEM Resource Teacher Louise Chapman.